This time we will give you some information about the London College of Communication (LCC), which is the part of The University of the Arts London. The University offer students an exciting mix of high quality courses and strong links with the commercial and cultural activities. The Institute provides opportunities for study at all levels from access and national diploma to BA, MA and PhD. It offer courses in a range of fields from the fine and applied arts to conservation, fashion design, journalism and advertising. The LCC has around 5,000 students, of all ages and from a variety of backgrounds and cultures. It has a great community atmosphere in a busy, stimulating environment where students play an active part in course development. Many courses offer field trips or work experience to complement your college-based learning programme. The College has a single site at Elephant & Castle in south east London and is well placed to provide student internships, work experience and vocational inspiration for both the public and private sectors. LCC is also within easy reach of major arts venues such as the Tate Modern, the Design Museum and the Southbank Centre. 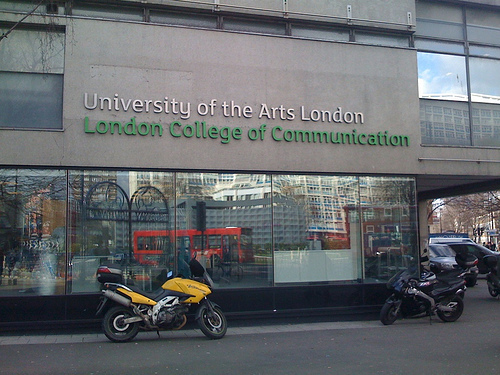 All the colleges within the University of the Arts London have long and distinguished histories and this is reflected not only in their portfolio of courses but also in the pride which staff and students take in the standard of their work. The current range of courses includes diploma, foundation, undergraduate and postgraduate studies. Multimedia convergence now informs the delivery of all the LCC’s specialist areas, including graphic design and advertising, photography, film and animation, journalism, publishing and public relations, sound arts and design and interactive and spatial design. 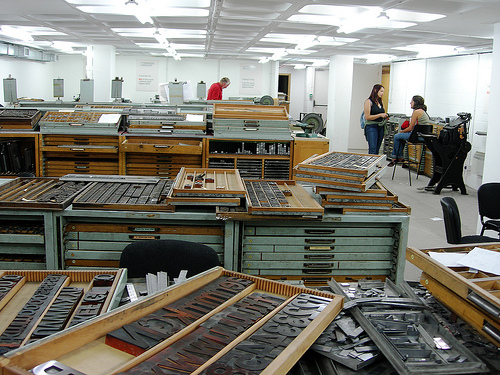 The College has extensive exhibition space, photographic and television studios, darkrooms, interactive media and animation suites, broadcast and print newsrooms as well as specialist printing, printmaking, bookbinding and letterpress workshops. 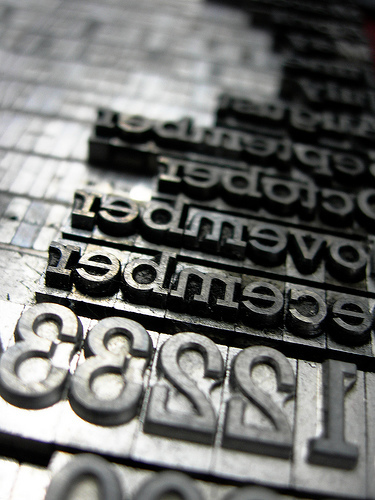 The courses in LCC are grouped so there are: The Media, The Graphic Design, The Printing and Publishing, and The Marketing. This is very rough selection because there are lots of different courses on different levels which re in the range of design, digital media, 3D design, animation, architectural and spatial design, typography, screenwriting, journalism, tv, video and broadcasting and many more. Here we will say more just about The Printing and Publishing School. MSc Digital Colour imaging course is focused on colour imaging technology and its application to colour reproduction in the communications and graphic arts industry. 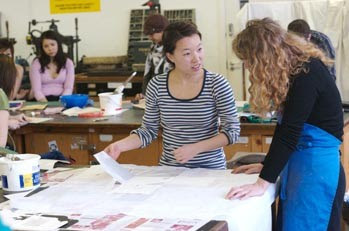 You will develop skills in colour measurement, research methods, programming for colour imaging and colour management. 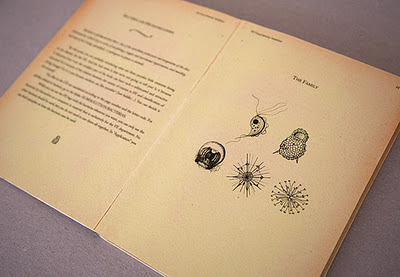 The Bookbinding and Book Restoration programme aims to prepare students for career opportunities within freelance practice in binding and repairing books and in other areas of book production. There is also career opportunities in teaching and progression to postgraduate level. You can learn more about: Craft Binding, Fine Binding & Restoration, Modern Design Binding, Historical Influences and Conservation Style Structures. 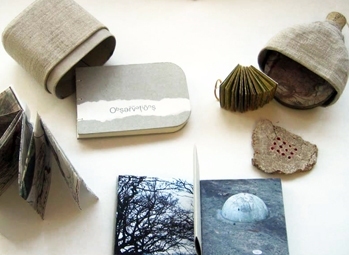 The Book Arts & Crafts programme aims to prepare students for freelance career in designing and making books as a book artist, in fine print, and in other areas of 3D book production. 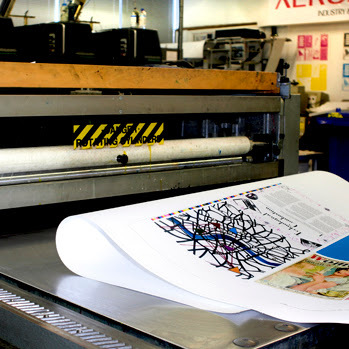 Students may choose to run their own small press and bindery or work in art publishing, inter-active book production (paper engineering), illustration and craft book-making areas. 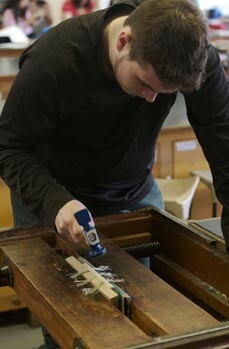 the students will work with a wide range of materials and techniques used in historical and contemporary practice. Books always give right advise to their readers, books have many benefits for their readers, books lover get progress in their lives with the help of expert essay writers in UK on greatessay.biz, they are the respectable part of the society, only educated people are found of reading because it increase the knowledge of readers. I agree with this information. Books are so important thing in learning. It ale us learners to do our study in efficient way by using the sources of books nowadays. Learn more writing with victoria-assignment is essentials in developing great writing works.